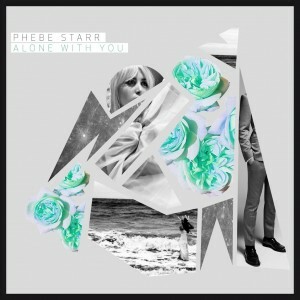 She’s already captured the attention of the powers that be at Triple J, but we have the sneaking suspicion the Phebe Starr story is only just beginning, as the singer sets out on the promotional journey with her debut single ‘Alone With You’. Yes, she’s a relative unknown outside the suburbs of Sydney, but with over a thousand views of her debut video in just two and a half days, it suggests that word is quickly spreading about the track that’s as strong and as assured as anything spewing forth from the halls of the world’s biggest record labels. It’s grand, confident and just a little bit epic, with soaring choruses, Phebe’s soft vocals, stings from the electronic keyboard and a curious black and white clip all combining to create something very fresh, very now and very special.